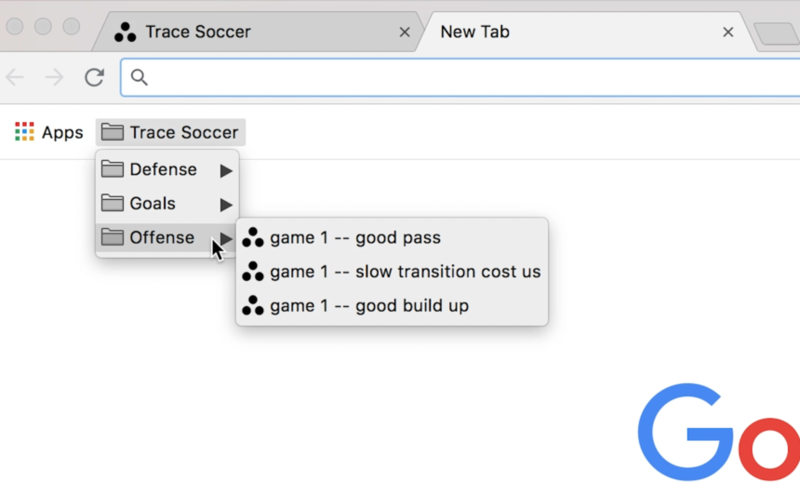 Learn how to use bookmarks in your browser to save clips (or playlists) from any of your games and create folder groupings that match your coaching style. Step 1. When you find a clip you want to save, click the star in the topright corner of the URL bar. Step 2. Give your bookmark a relevant name so you can easily remember what playlist it contains. Step 3. We recommend creating folders to keep your bookmarks organized (offense, defense, goals, etc.). Great! Now keep organized by continuously curating and adding favorite clips in your search engine as new games come out.